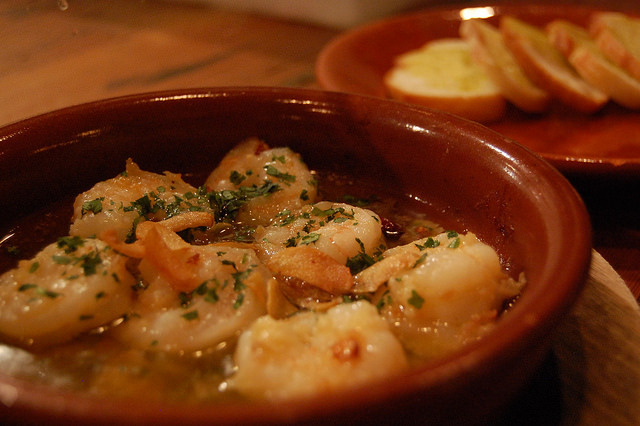 Spain has designated the third Thursday of June to be World Tapas Day. That’s right! A whole day every year has finally been dedicated to one of my favorite culinary traditions. Now we can truly celebrate those delicious little appetizers and snacks made popular by the Spanish and enjoyed around the world, and give them the admiration they deserve. In case you don’t already know, tapas are small finger foods that are served in bars, usually between meals. The Spanish tend to eat their meals on the late side. They eat tapas as a sort of warm up to the main meal. All over Spain, you’ll find little dishes or little napkins lined up on the bar during certain times of the day. Mmm. Tapas. ⇒ Love Spanish food? Check out all the other dishes we love in Spain. If you haven’t had the pleasure of eating tapas in Spain, I highly encourage you to travel there immediately. However, if you can’t get there in person, there are many ways to celebrate World Tapas Day around the world. You can even make them at home! Of course, there are exceptions and also many variations, but in general, pintxos are served on a piece of bread or toothpick, like the ones featured below. They are the perfect finger food. When purchasing pintxos, you choose your favorites from what is available on the bar, then pay per pinxtos. Tapas are served in some restaurants and bars for free when you order a drink. You may receive two or three different tapas while ordering drinks at the bar. That’s not always the case though, so don’t expect them to always be free. 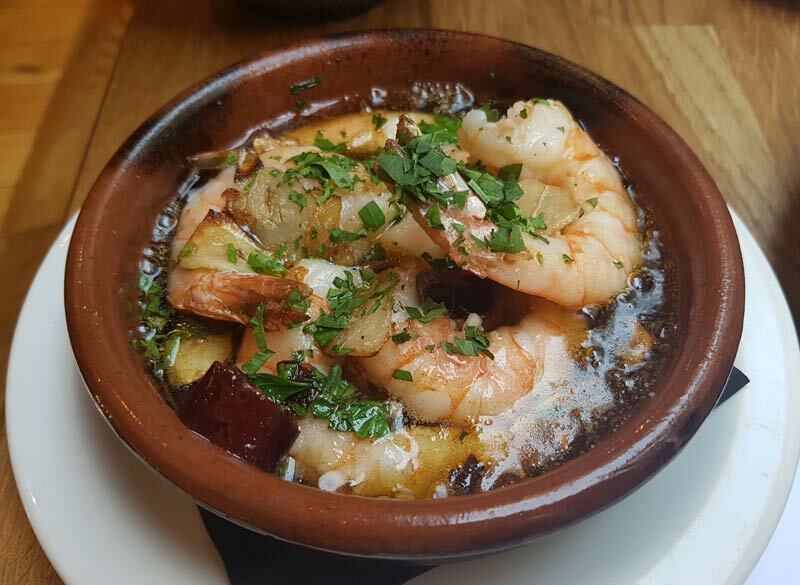 They are often served in a clay pot and are just a small portion of a popular dish, like the gambas al ajillo dish pictured below. One of the funnest ways to celebrate World Tapas Day is to make a few of your favorite tapas at home. There are so many different styles and choices. The possibilities are endless. We suggest picking a few, inviting over some friends, and enjoying a little tapas celebration. Below are recipes for some of our favorite (and most popular) tapas. Enjoy! ⇒ See the full recipe with instructions here. 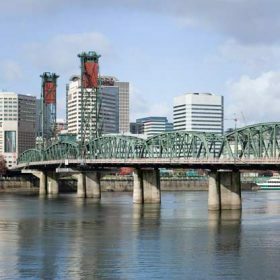 I’m sure you’ve noticed the trend toward food sensitivities, if not in your own diet, perhaps in those of your friends, family or even travel partner. Not being able to eat certain foods definitely can make traveling for food a challenging feat. In recognition of the high number of people suffering from food allergies, and to celebrate World Tapas Day organised for the second year running by the Spanish Tourist Board, Spain-Holiday.com has created a handy infographic of the Top 12 Classic Tapas with food sensitivity symbols on the side to help you know which tapas you can enjoy. This entry was posted in Things to do and tagged food, Spain, tapas. Nicely done. I love tapas, but never really thought about making it myself – until today when you supplied all the recipes. Thanks! And great photos! I’m glad you appreciated that! I’ve tried to make a few of these at home and it’s always fun. Although I did mess up the octopus once, but that’s all part of the process of learning.